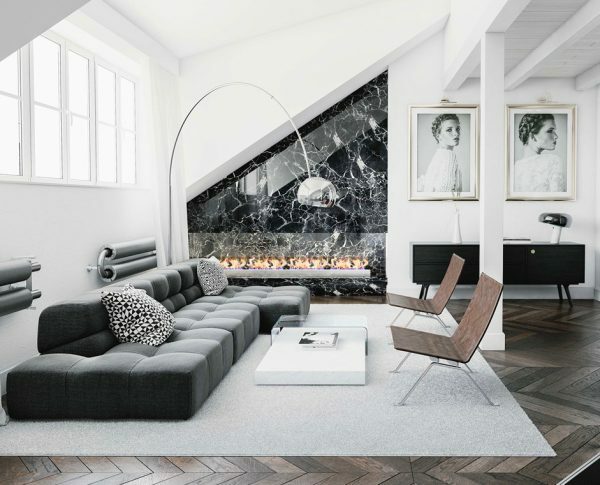 Floor lamps occupy a special place in every designer's heart – stylish lighting is part decor and part utility, able to stand on their own and make a distinct impression even when they're not in use. 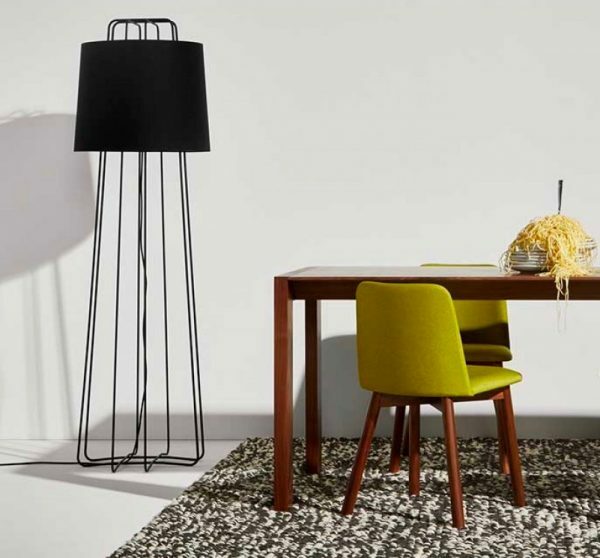 We've rounded up 50 of our favorite floor lamp designs, ranging from practical choices for purpose-driven spaces all the way to sculptural show pieces that will keep your guests talking all night long. And the best part? 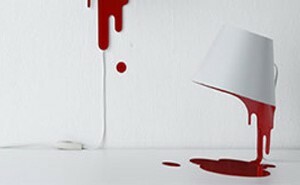 All of these unique lamps are available for purchase right now! 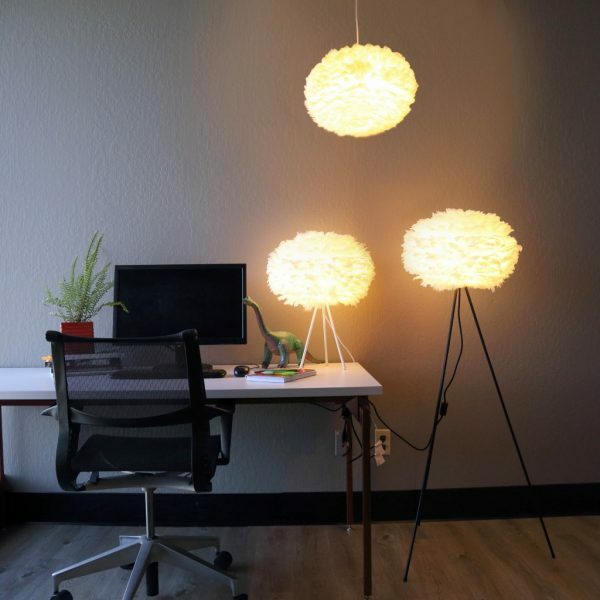 Whether you're looking for something budget-friendly or an iconic lamp from a famous designer, there's sure to be something here for you. Grasshopper Floor Lamp Replica: Greta Grossman’s iconic Grasshopper puts a sleek mid-century spin on the classic tripod lamp design. Originally developed in 1948, high quality replicas make this stylish lamp easily accessible to interior design fans. Replicas are often available in just a few classic colors but the original, available here, offers a wide palette consisting of modern and retro hues. 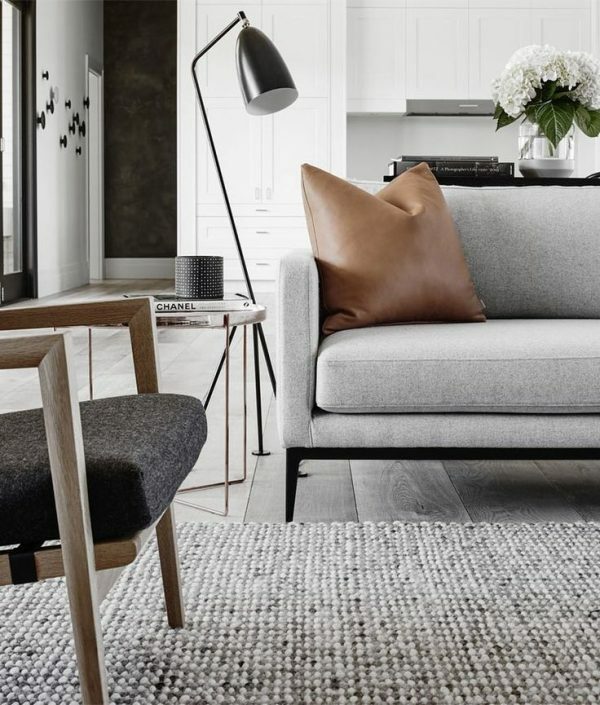 Lean Floor Lamp: Swedish designer Jenny Bäck created this leaning floor lamp to have a contemporary form with a subtly distressed surface for vintage appeal. 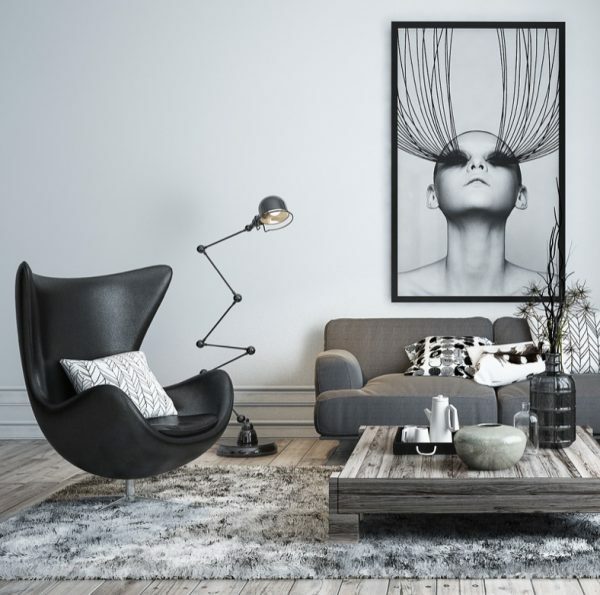 This black floor lamp includes a touch of brass at the neck, a wonderful complement to many of today’s top modern design trends. Lean is also available in white. Multi Use Adjustable Floor Lamp With Marble Base: A heavy marble base elevates the humble construction of this handsome wooden floor lamp. Highly adjustable at both the center and the head, this piece is perfect for placement near a reading nook, desk, or other task-oriented area within the home. 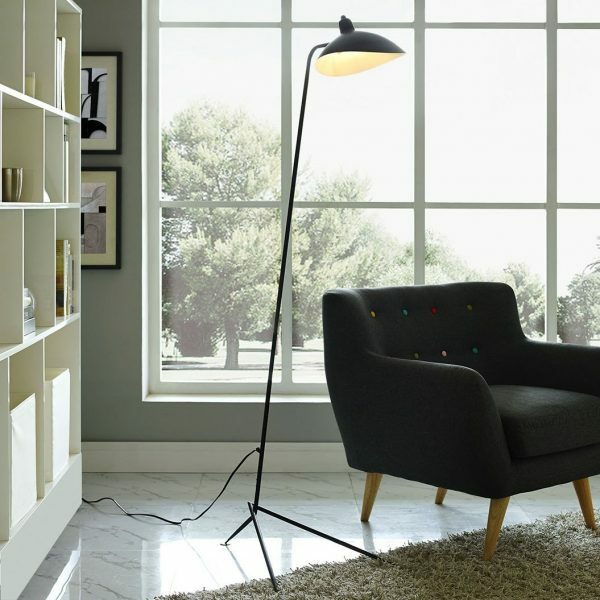 Serge Mouille Style Floor Lamp: Here’s another tripod floor light that maintains a subtle and discreet base. In 1953, Serge Mouille created this famous design as a minimalist answer to the overly complicated styles invading the market at the time. If you’re looking for something more authentic than this quality replica, the original is available here. 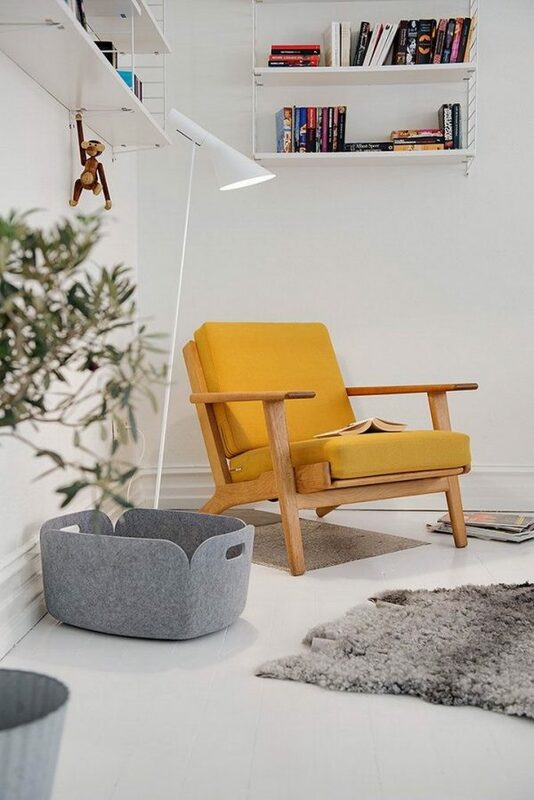 Arne Jacobsen Style White Floor Lamp: While the original 1960 AJ floor lamp design is highly sought-after by collectors, this affordable reproduction is a great way to enjoy sleek retro style without breaking the bank. This white floor lamp is manufactured from spun steel with a cast aluminum base for durability. 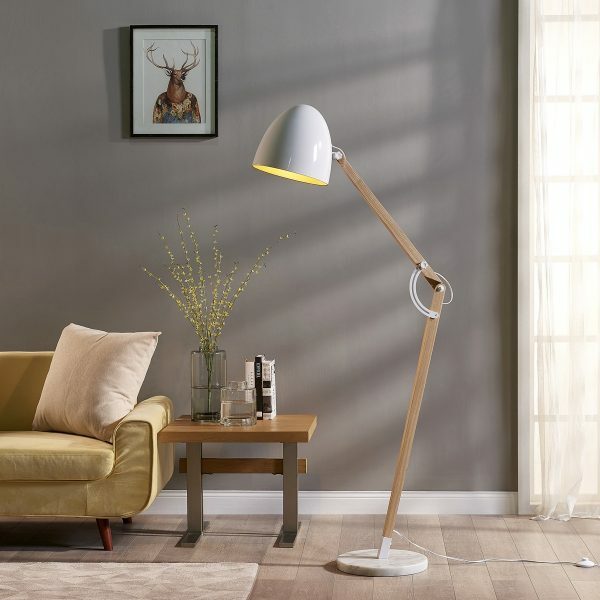 Ikea Lersta Gooseneck Style Metal Floor Lamp: The best companion for any comfortable reading chair is a highly adjustable gooseneck floor lamp. Simply swivel or position the head any way you’d like to enjoy direct or ambient light as needed. Even better, it’s hard to beat Ikea when it comes to price! 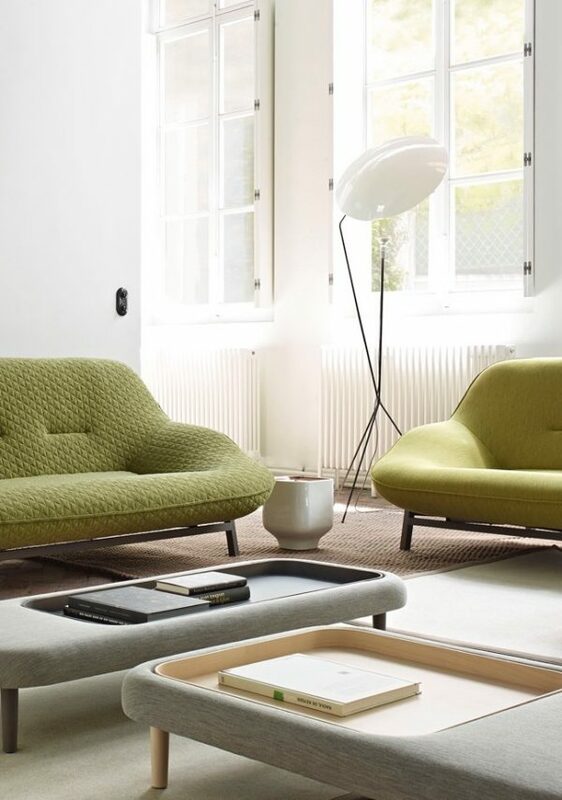 Flos IC F2 Floor Lamp: Designed by Michael Anastassiades in 2014, this contemporary lamp finds itself featured in photo shoots and luxury interiors all over the globe. While the pictured lamp has a burnished coating, the original (and the one found through the buy link) is the more famous brass floor lamp model. Solveig Floor Lamp: Designer Avril de Pastre named this design Solveig, meaning “path of the sun” in Swedish – an apt name considering that these unusual floor lamps feature a reflector attached by magnet for endlessly fine-tunable adjustments. The base is crafted from steel in black lacquer while the reflector is steel in white lacquer. 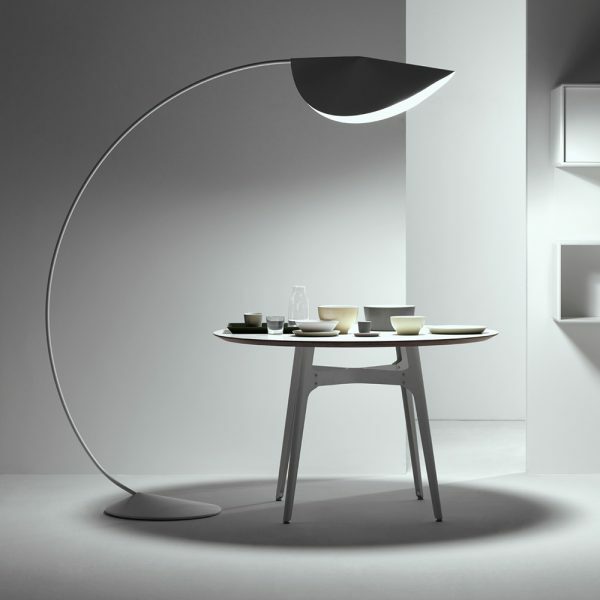 Archer Floor Lamp: What a creative reinterpretation of the classic arc lamp style! A series of wires and cantilever arms give this lamp a touch of industrial appeal to spice up its otherwise smooth contemporary aesthetic. This model features a solid beechwood body with black metal details. 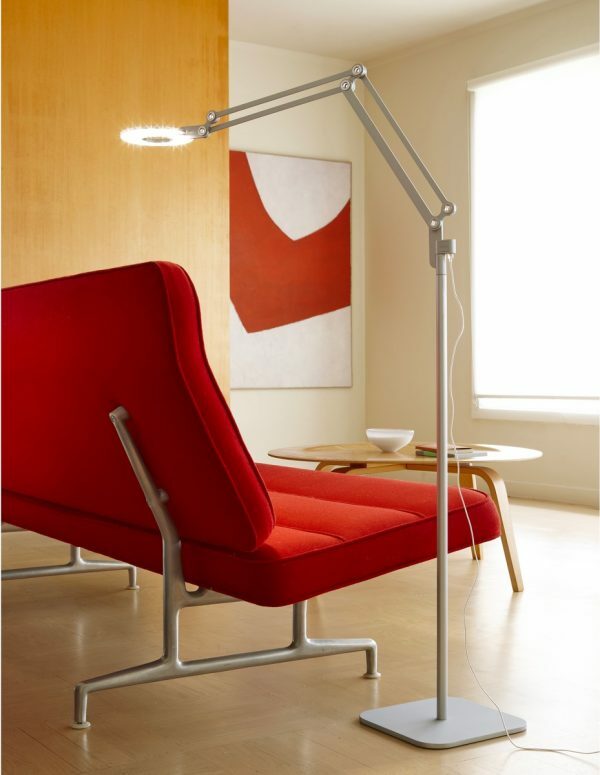 Spar Floor Lamp: Here’s another great design for interiors that require tall floor lamps with a long reach. This design, created by Jamie McLellan and manufactured in New Zealand, features a bold cantilever profile inspired by sailboats. 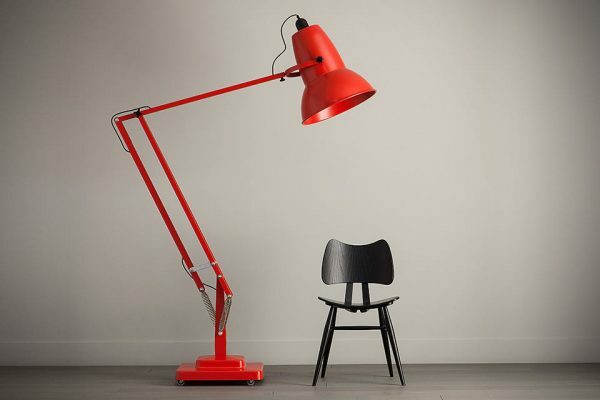 The bright red cord makes an unforgettable impression but is also available in black to match the body of the lamp. Foscarini Fork Lamp: In a collaboration with Diesel Living, Foscarini developed the Fork Lamp with inspiration from denim fashion, campsite tents, and other symbols of a laid-back lifestyle. 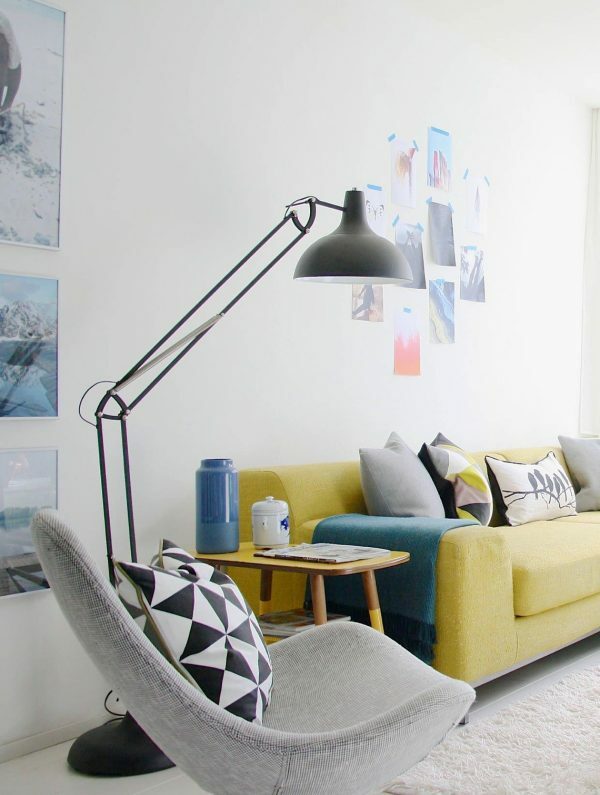 But the lamp itself is anything but casual – cool floor lamps like this are impossible to ignore. 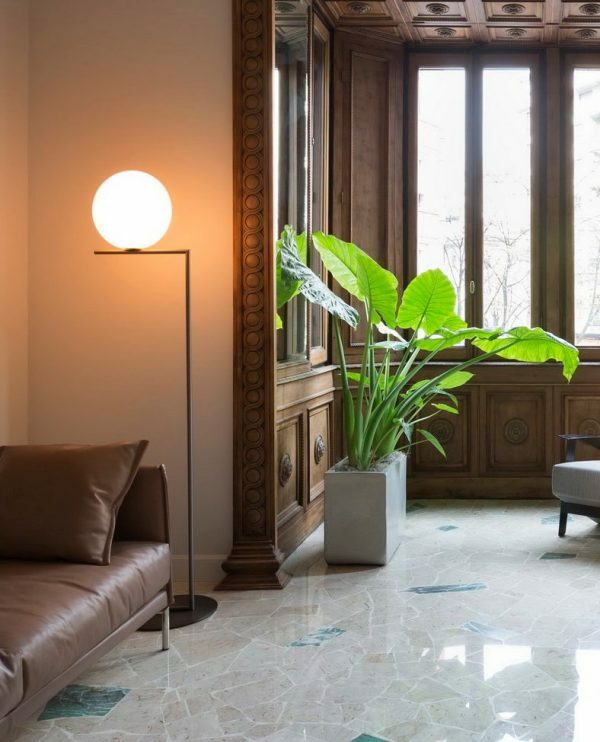 Arco Style Floor Lamp: If you’re looking for something to provide focused lighting across a large space, an arc floor lamp is always a viable solution. 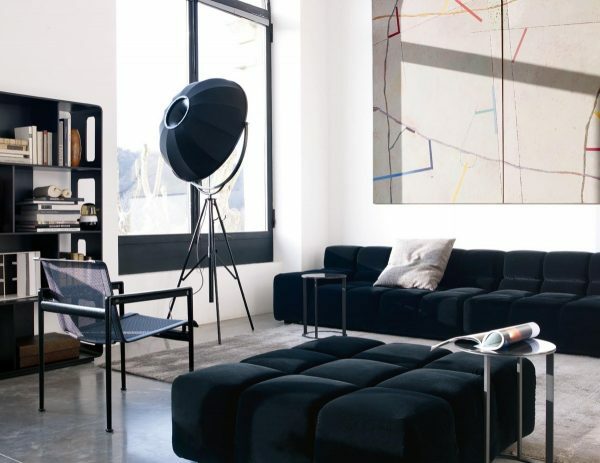 This piece is an affordable alternative to the famous Arco Floor Lamp from Flos, and is available with a white or black marbled base. 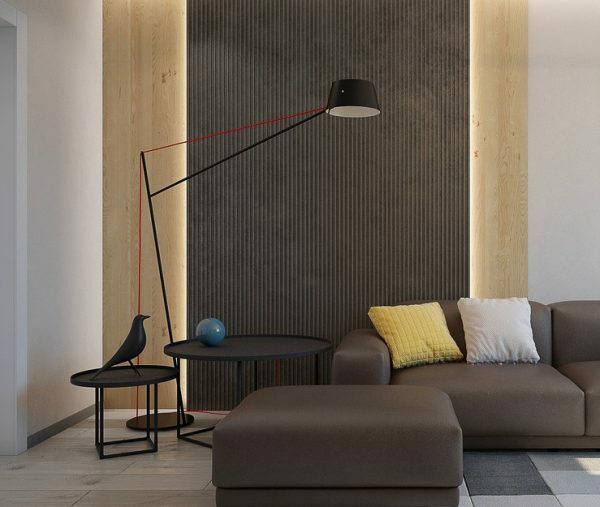 Adesso Atlas Tall Floor Lamp: Standing at almost 77″, this tall floor lamp features an adjustable body to provide either focused task lighting or wide-cast ambient illumination. Its body offers great industrial style for urban interiors, available in either copper or satin-finish steel to suit a variety of decor styles. Giant 1227 Floor Lamp: Like an oversized sculpture for your home, this work of art was commissioned for the Roald Dahl Museum in tribute to the author’s beloved writing desk table lamp. This exceptionally large floor lamp stands at just over 106″ fully extended, available in a wide variety of distinctive colors to make a huge visual impression. Large Copper Finish Accent Floor Lamp: While copper floor lamps aren’t easy to find at a reasonable price, this model happens to combine the best of style and relative affordability. 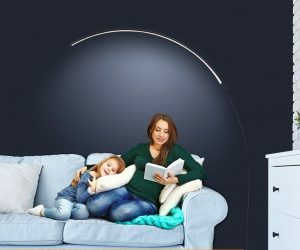 Its elegant arched design is shaped to cast lighting right where you need it without taking up much valuable floor space. 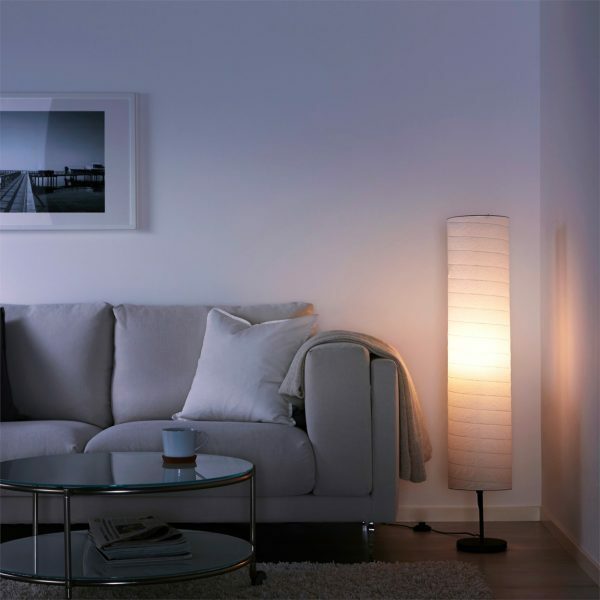 Ikea Regolit Floor Lamp: If you’re looking for cheap floor lamps, Ikea rarely disappoints. 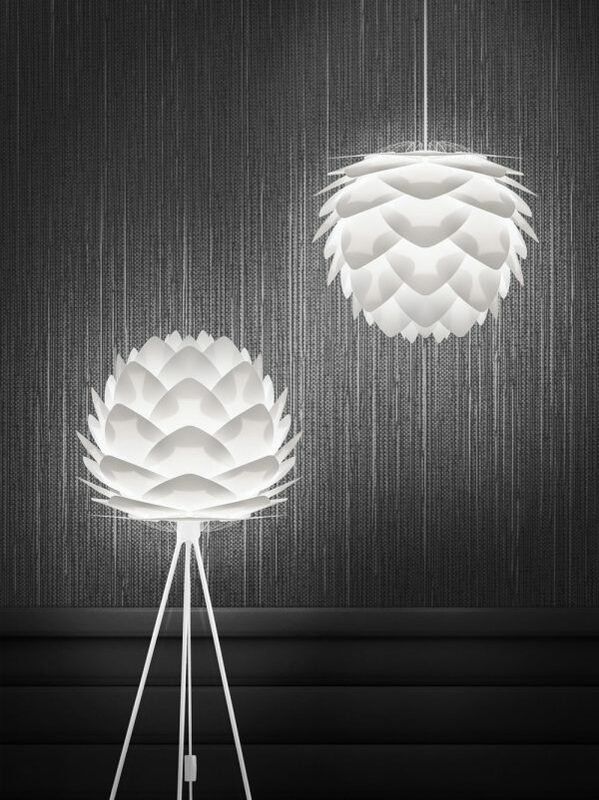 The Regolit is a versatile and unique design with a paper shade that offers gentle diffused lighting, making it a great choice for general illumination in a living room or bedroom. Fortuny Style Floor Lamp: Mariano Fortuny was a celebrated stage-set designer and lighting technician who pioneered the use of cyclorama lighting effects in theaters and applied the same techniques to his famous reflector lamp. Theater fans are sure to find this one of the most interesting floor lamps to use as an interior design conversation piece. The original is available here. 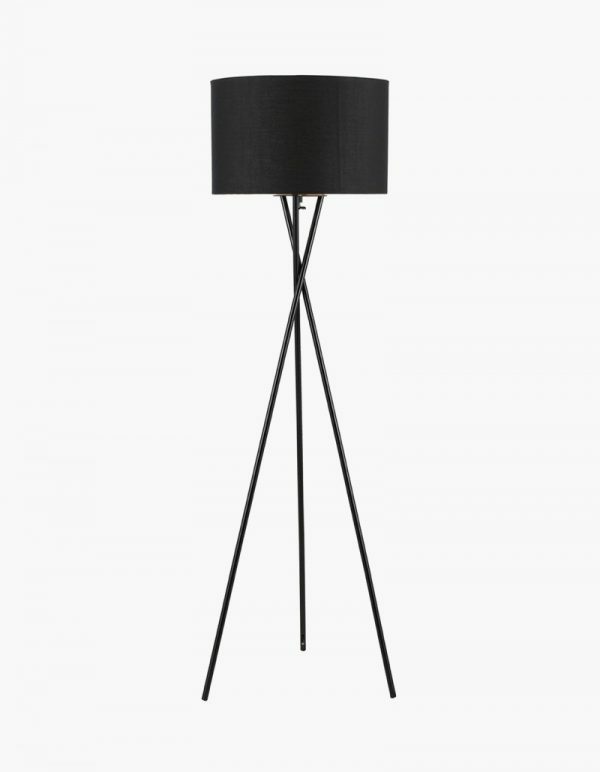 Serge Mouille Style Three-Arm Floor Lamp Standing Lamp: Mouille’s three-arm design actually predates the single-arm style. 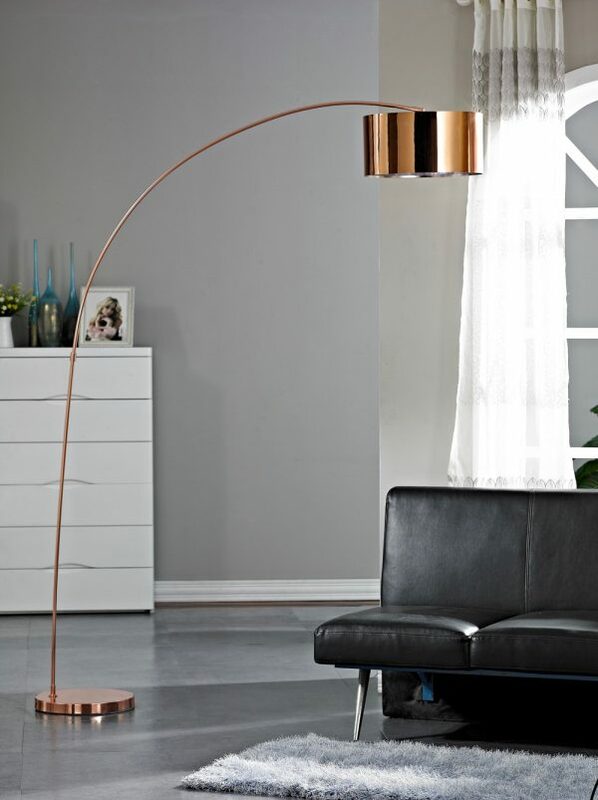 These designer floor lamps have a carbonized steel body with subtle copper details. The white interiors of the shades effectively reflect and direct the light. Bludot Perimeter Floor Lamp: Even large lamps can feature a low-profile form appropriate for open or minimalist interior styles. 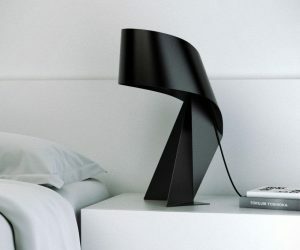 Slim loops of steel form the base of this contemporary standing lamp, holding the oversized matte black shade with ease. This lamp is also available in white on white, white with grey, and smooth blush tones. Bijou Contemporary Tripod Floor Lamp: Crafted from wood and weighing only 6 pounds, this floor lamp is a simple versatile design well-suited for natural and contemporary interiors. 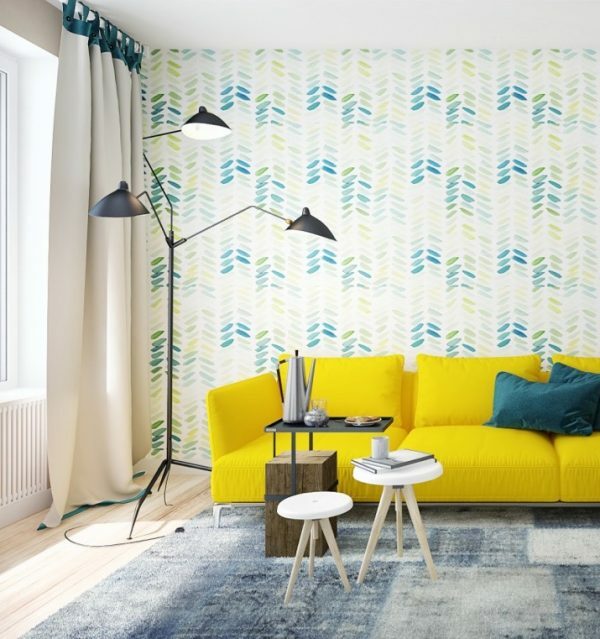 The paper shade diffuses without dampening the brightness too much – a great trait for living room floor lamps. 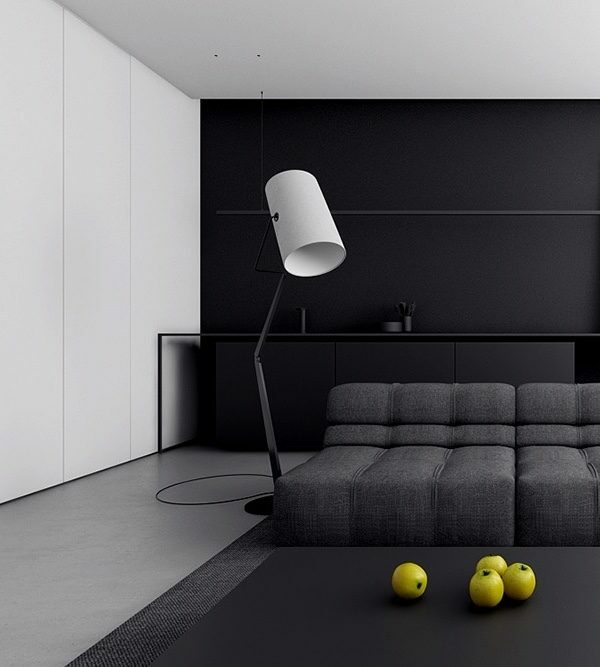 Modern Style Tripod Lamp: The form is similar to the previous tripod floor lamp, but this one features a sleek black-on-black theme ideal for minimalist interior applications. The tripod is made from sturdy metal and the shade is simple black fabric. 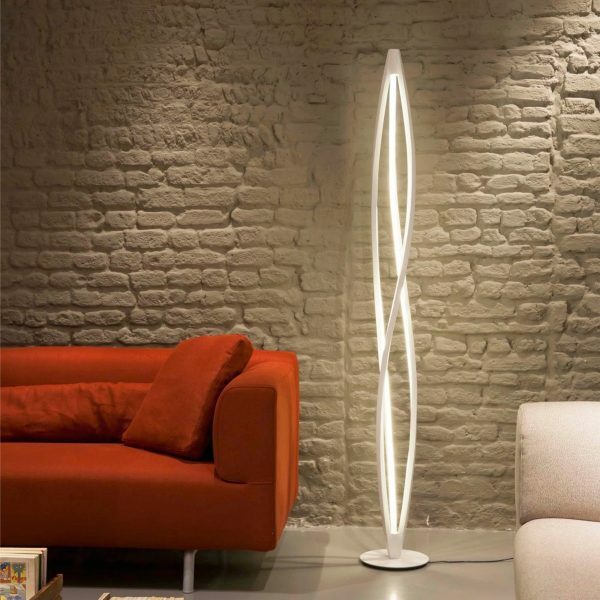 Silvia 60″ LED Tripod Floor Lamp: Now let’s check out some floor lamps with organic sculptural flair! This beautiful design seems to take a bit of subtle inspiration from the designs of Poulsen, an aesthetic mid century design fans might enjoy. This lamp is available in brass, copper, steel, and the pictured white. Carmina Floor Lamp: Inspired by the waves and dunes on the shorelines of Denmark, the Carmina floor lamp is an intricate floral sculpture that adopts a different personality depending on whether it is darkened or illuminated. These lamps are available in pastel shades of almost every color of the rainbow. 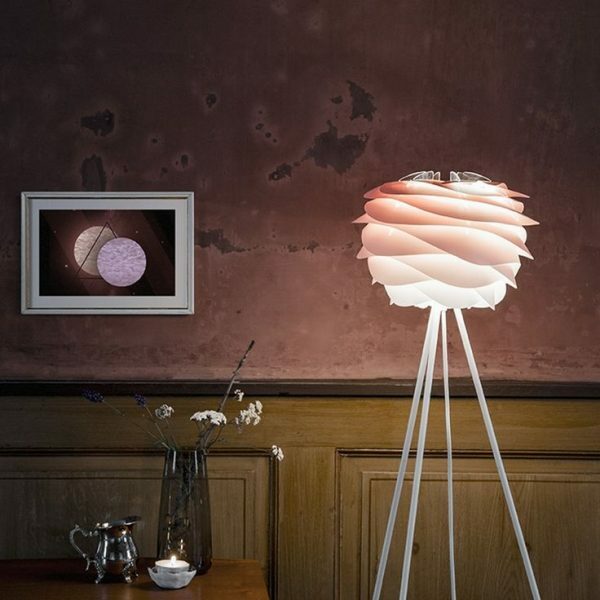 Vita Copenhagen Eos Floor Lamp: Fluffy as clouds, these feathered floor lamps look wonderfully soft and weightless. The feathers are real goose feathers, obtained from waste that would otherwise be burnt. Contour Modern Style LED Floor Lamp: A flush mounted LED illuminates the smooth interior of these modernist standing lamps, as artful as they are practical. These lamps are available in a variety of finish combinations so you can mix and match to suit your interior style. Link Task Floor Lamp: When it comes to floor reading lamps, few features are more important than brightness and flexible adjustability. This lamp offers the best of both worlds, including versatile pivot joints and a choice between high or low light settings. 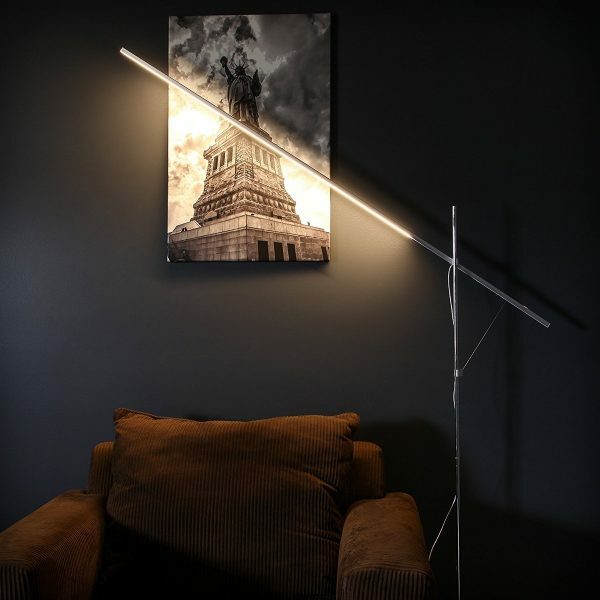 Minimalist Linear Floor Lamp: If you’re looking for something simple to illuminate a desk, table, or sofa, this linear floor lamp definitely has the reach. The LED bulb remains energy-efficient and affordable to operate, shining at 3,000 kelvin for strong yet soft illumination. 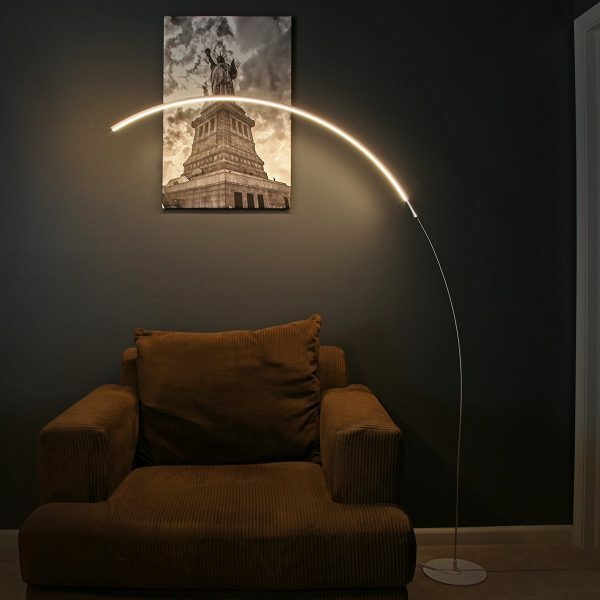 Minimalist LED Arc Floor Lamp: Or, if you’d prefer a lamp that gently wraps around all sides of an overstuffed armchair or cozy reading nook, this arc-shaped lamp just might fit. 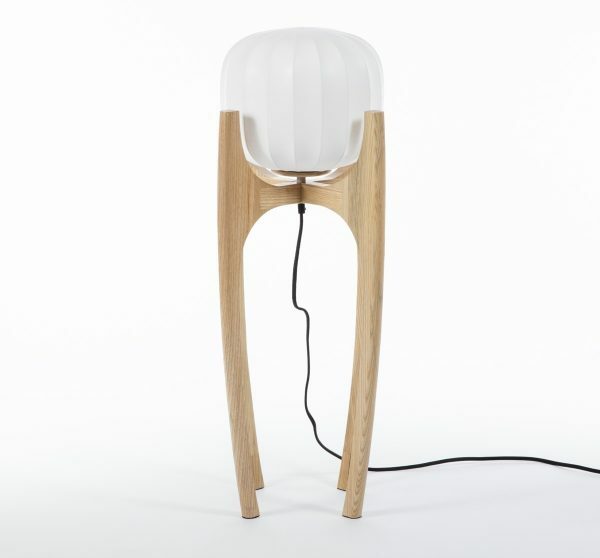 Like the last lamp, it features energy-efficient LED technology and includes a foot pedal switch for easy operation. De Padova Style Circle Floor Lamp: This graceful floor lamp gently curves over like a leaf in the wind, illuminating whatever falls below the folded shade. It’s an art deco floor lamp with contemporary style. 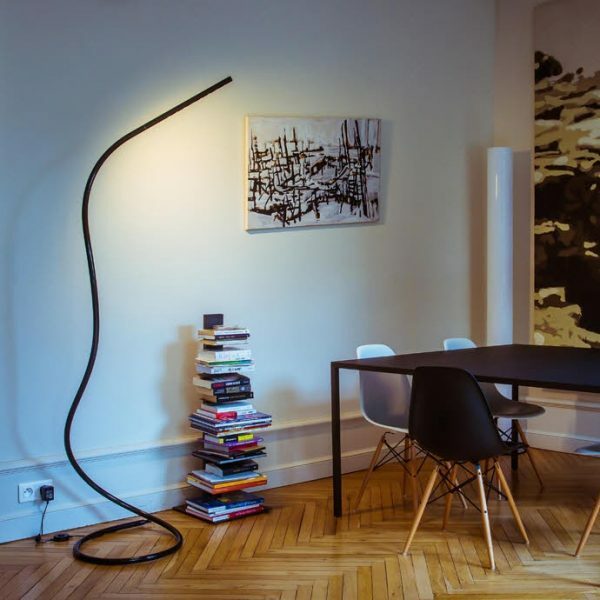 S7 Snake Like Floor Lamp: The S7 by Nicolas Pichelin is the perfect example of a “do anything” floor lamp. It twists, rotates, bends, and holds its shape however you want to adjust it. 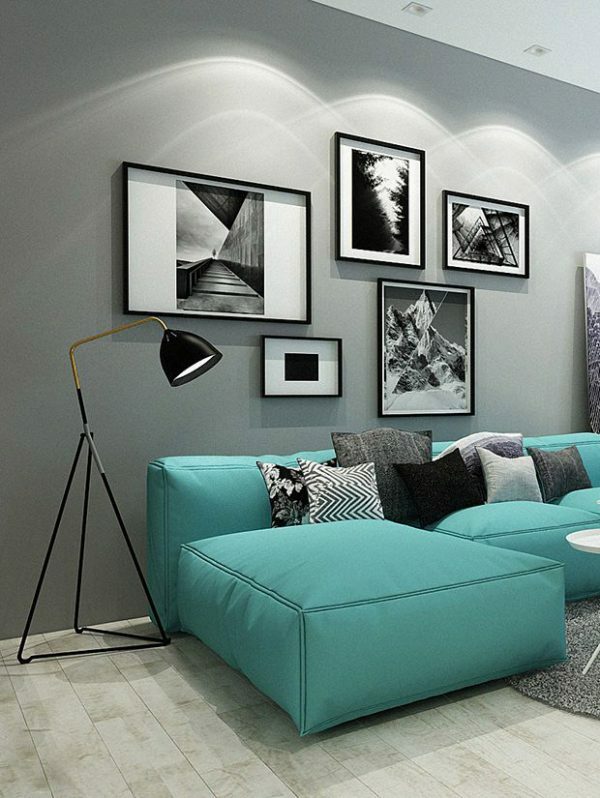 Coil it up to enjoy a shorter lamp or let it stand (up to 78 inches tall!) to cast light across the room. It’s just as much fun to use as it is to look at. 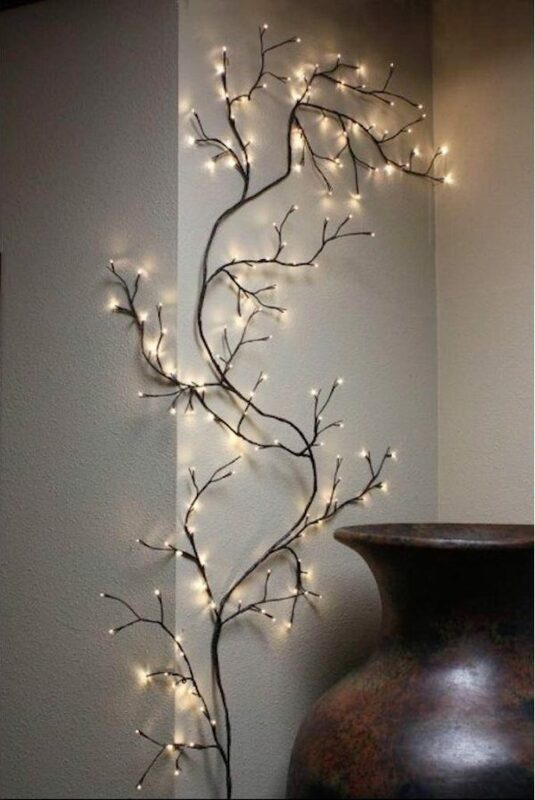 Vine Shaped Floor Lamp: This flexible willow vine sparkles with 144 individual lights that cast a soft glow appropriate for use in the bedroom or as subtle mood lighting around the home. It stretches up to 8 feet long, enough to climb up the side of most windowsills and certainly long enough for most other decorative purposes. 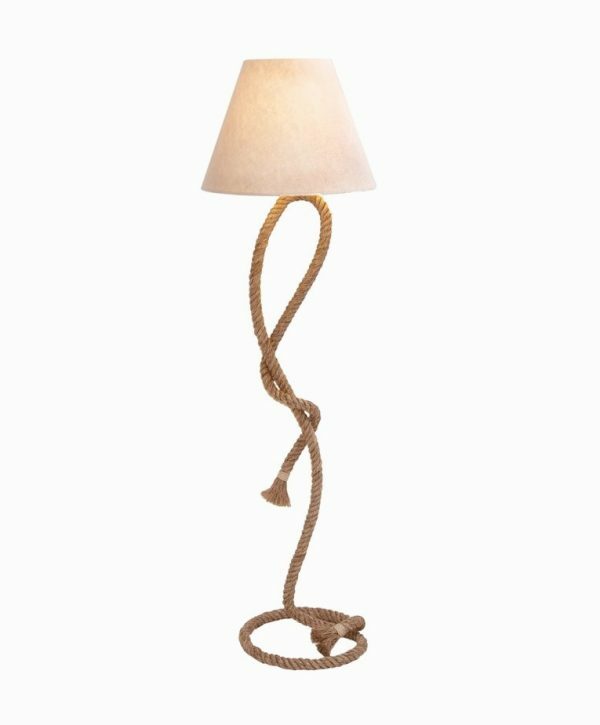 Rope Floor Lamp: This gravity-defying lamp would make a great on-theme addition to nautical, western, or even cottage style interiors. The body of the lamp has a real rope-like touch despite being crafted from sturdy metal that keeps its shape. 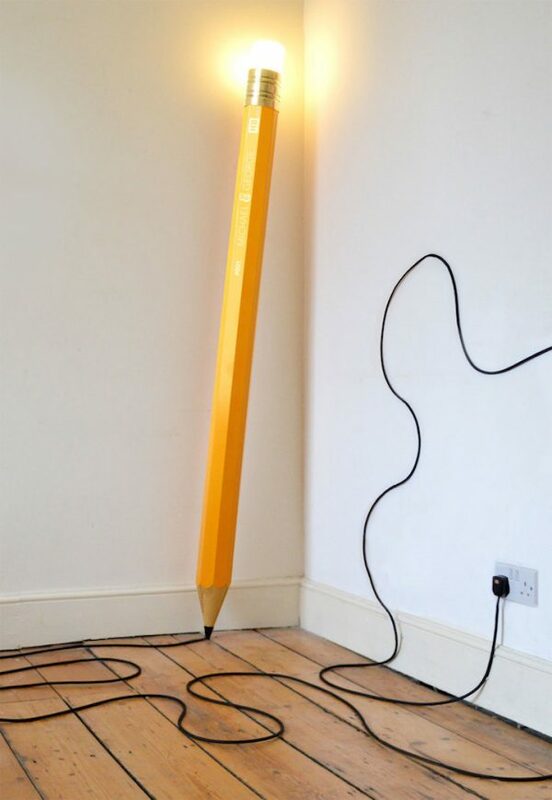 HB Floor Lamp: Is anything more recognizable than a standard yellow HB pencil? 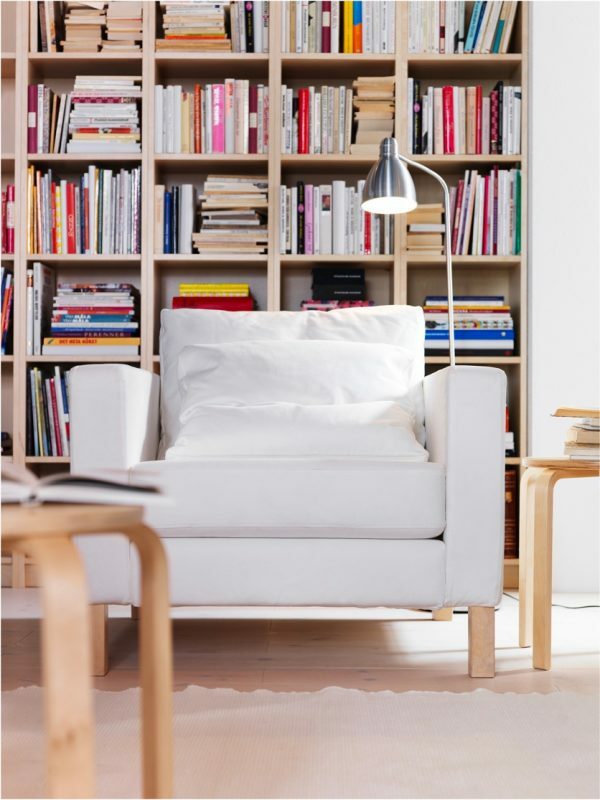 These would definitely make fun floor lamps for a library, school, or a creative commercial setting. The cord extends from the tip of the pencil resulting in endless possibilities for fun doodles. 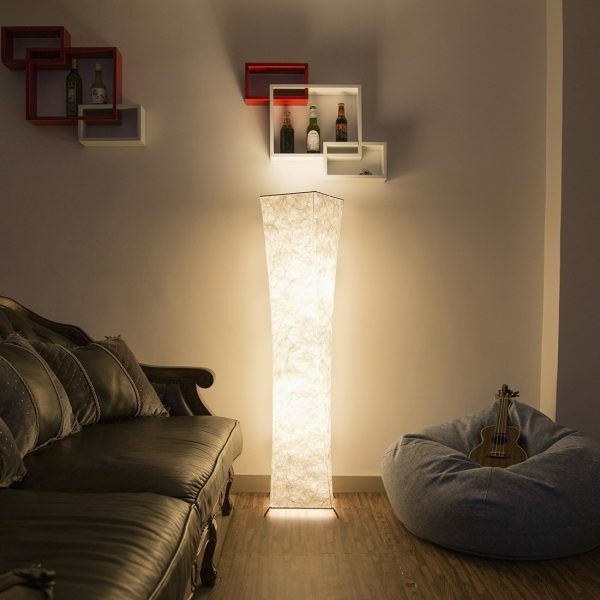 Soft Light Floor Lamp: If ordinary standing lamps are too bright for your needs, this model might be better-suited. The fabric shade diffuses light to foster a relaxing and comfortable interior environment, ideal for bedrooms or for relaxing evenings watching movies. Cylindrical Ambient Floor Lamp: Here’s another floor lamp that provides diffused light, this time with a soft white rice paper shade. This is a relatively short floor lamp, standing at only 46 inches tall, perfect for adding subtle illumination to an otherwise dark corner. 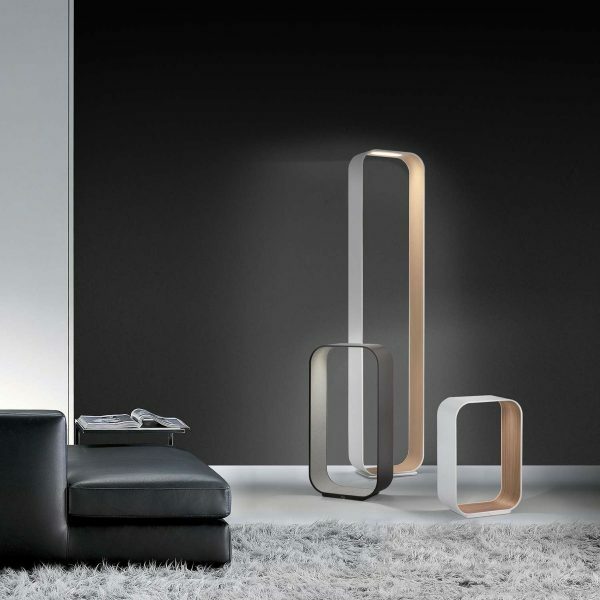 Twist Modern Style Futuristic Floor Lamp: Sometimes interesting floor lamps are the perfect way to set a minimalist interior apart from the rest. This design features clean and simple lines that curve and twist for a dynamic effect. This piece includes a pre-programmed remote control. 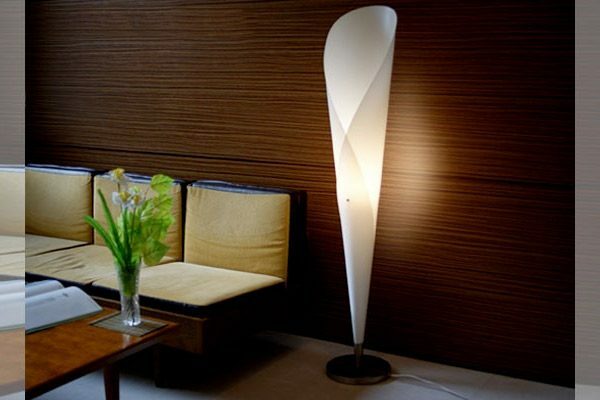 Unique Flower Bud Shaped Floor Lamp: Lightweight easy-to-clean plastic wraps into a minimalistic form inspired by a lily flower bud. 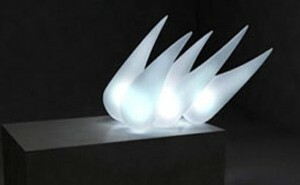 Its smooth form ensures it looks just as sculptural and pleasing in the daytime as it does when it’s illuminated. 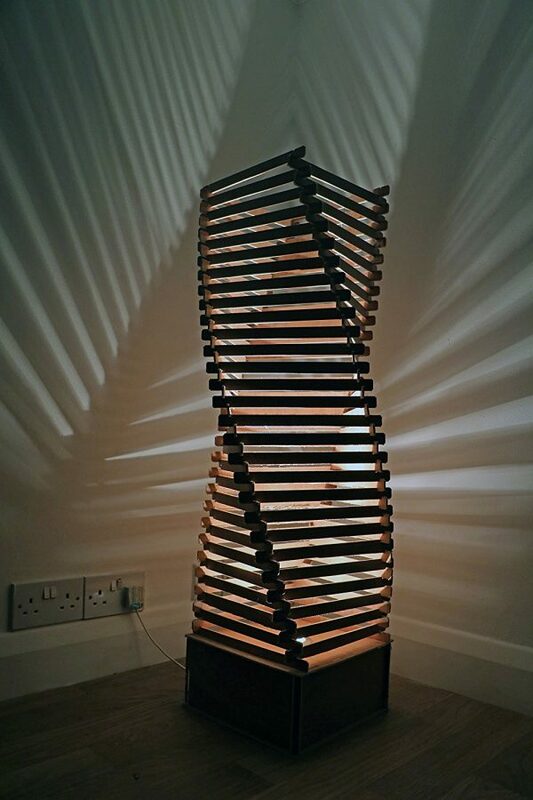 Wooden Sculptural Floor Lamp: A spiral of 110 interlocked wooden slats give this unique wooden lamp a sculptural quality that comes alive when illuminated. 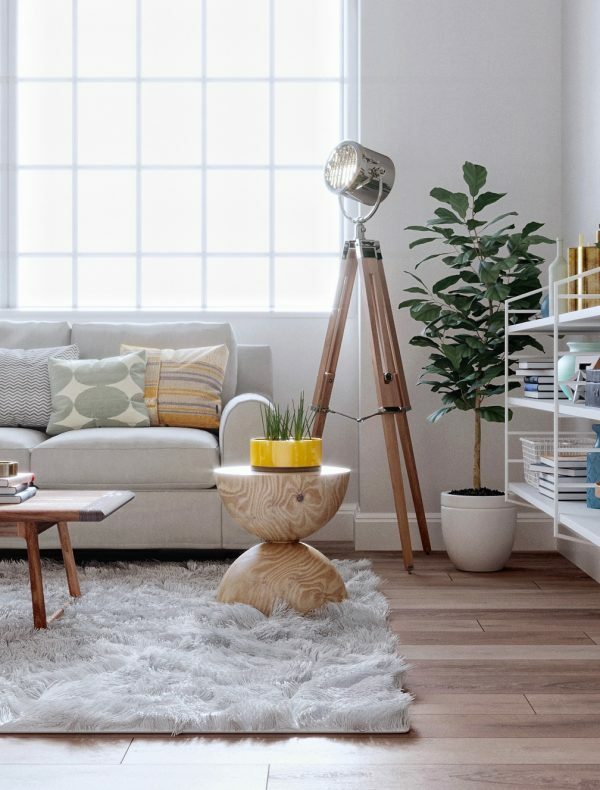 If you’re looking for rustic floor lamps that maintain an element of contemporary style, this piece is a flexible choice – it’s available in oak, mahogany, walnut, or even metal. Handmade Rattan Hour Glass Floor Lamp: This hand-woven rattan floor lamp can reflect either rustic, nautical, or tropical charm depending on your interior decor. It’s a versatile style that stands out from the rest, a wonderful organic piece that brings the outdoors in. 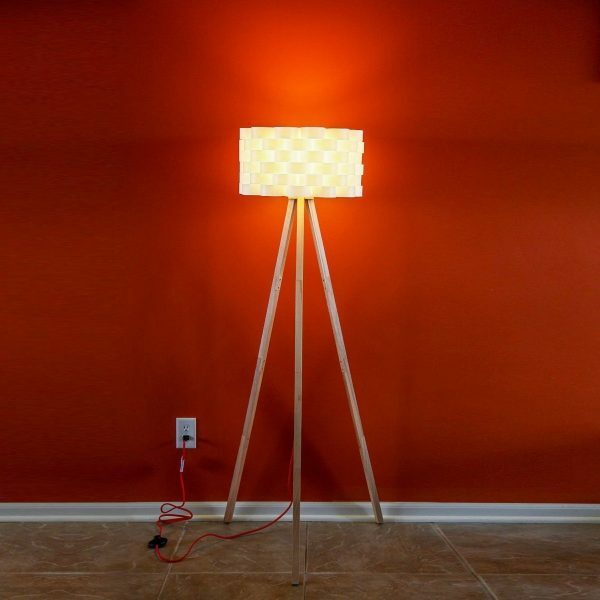 Floor Lamp With Shelves & Charging Ports: How cool! This creative floor lamp with shelves is a great all-in-one solution that combines the function of a bedside table and a table lamp. It even includes a power outlet and two USB charging ports to keep your favorite devices powered at all times! Antique Industrial Style Task Floor Lamp: Inspired by the iconic Jielde “Loft” floor lamp by Jean-Louis Domecq, this reproduction still maintains all of the same rugged charm as the versatile original. It’s the perfect lamp to complement an industrial interior decor theme. These operate with a standard easy-to-find E26 bulb. 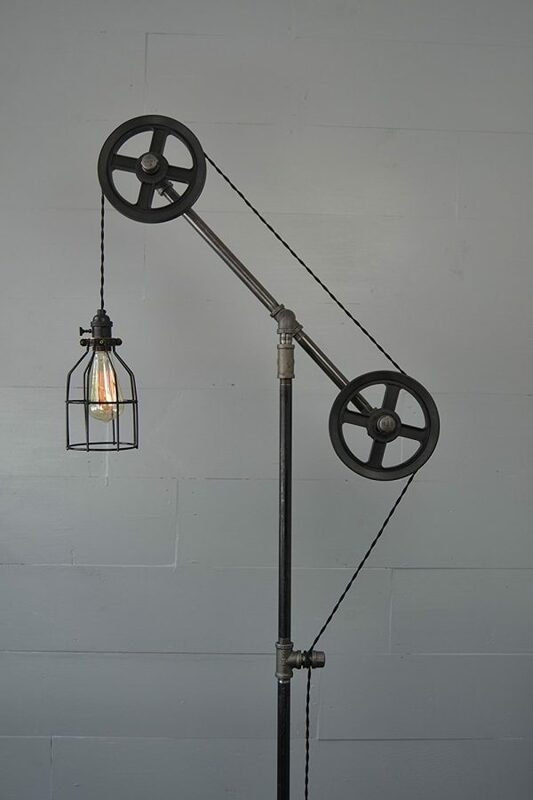 Industrial Style Floor Lamp: This unique industrial floor lamp features two large pulleys to control the height of the caged bulb via its vintage style twisted cord. As it turns out, industrial style lighting adapts easily to a surprising range of decor themes from farmhouses to modern minimalist interiors. Retro Nautical Style Spotlight Lamp: Finding the perfect addition to your nautical style home decor isn’t easy, but this nautical tripod floor lamp definitely has sea-worthy appeal. The tripod itself is crafted from sturdy walnut, with the signal casing in chromed metal. 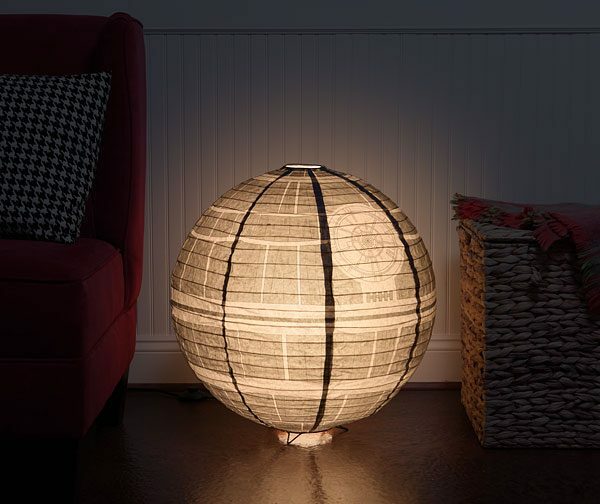 Death Star Floor Lamp: This neat Death Star lamp would make a great addition to your Star Wars home decor theme, or a fantastic housewarming gift for the Star Wars fan in your life. 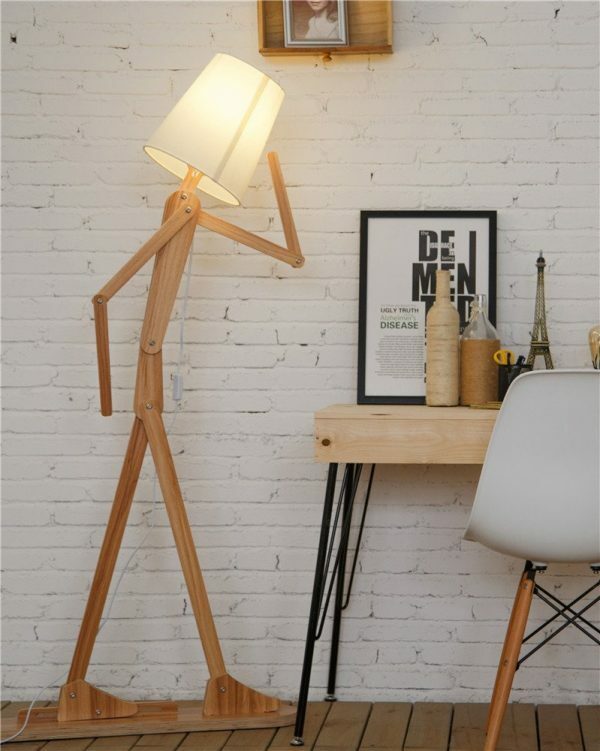 Funny Stick Figure Floor Lamp: This creative DIY floor lamp requires some assembly, a fun challenge for anyone who likes to get hands-on with their home decor. You can even pose the stick figure however you want! Get creative! The wood elements are available in teak, butternut, ash, or walnut. 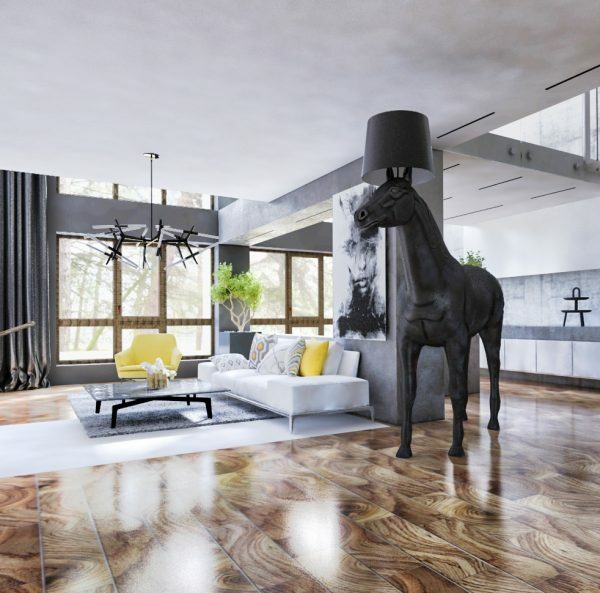 Horse Floor Lamp: Standing at almost 8 feet tall, this incredible horse-shaped floor lamp is absolutely unlike any other – a bold piece for a bold interior. Guests won’t be able to stop talking about it! 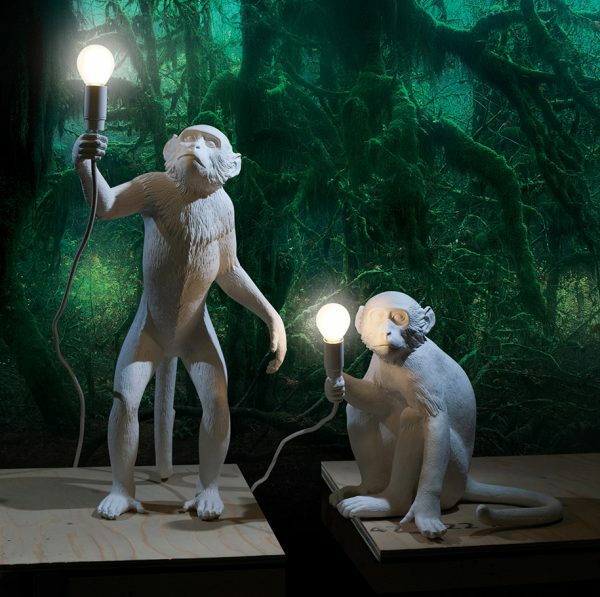 Seletti Monkey Floor Lamps: These sculptural monkey floor lamps are absolutely lively, crafted from resin in gorgeous intricate detail. A wild addition to any interior! Each one includes an energy-efficient LED bulb. Tulip Exterior LED Floor Lamp: Are you planning to host an outdoor event, and want lighting that proves a little more sophisticated than the typical torches or lanterns? 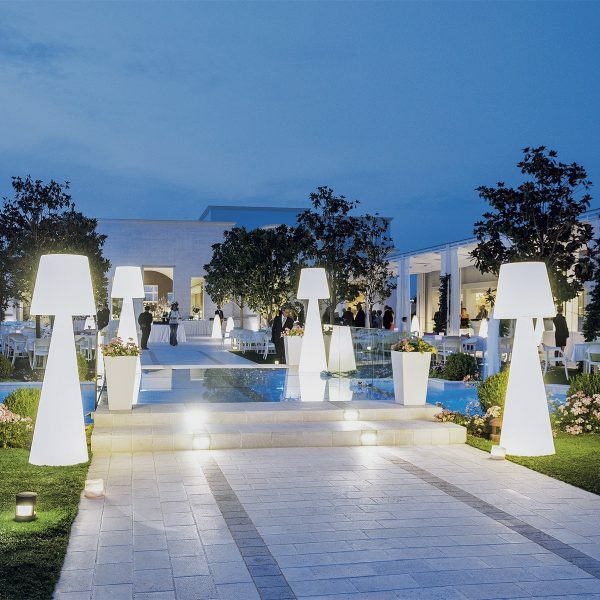 These stunning outdoor floor lamps are promised to make a dramatic impression. Each one is water resistant, easy to clean, and transition between several different colors to fit your theme. 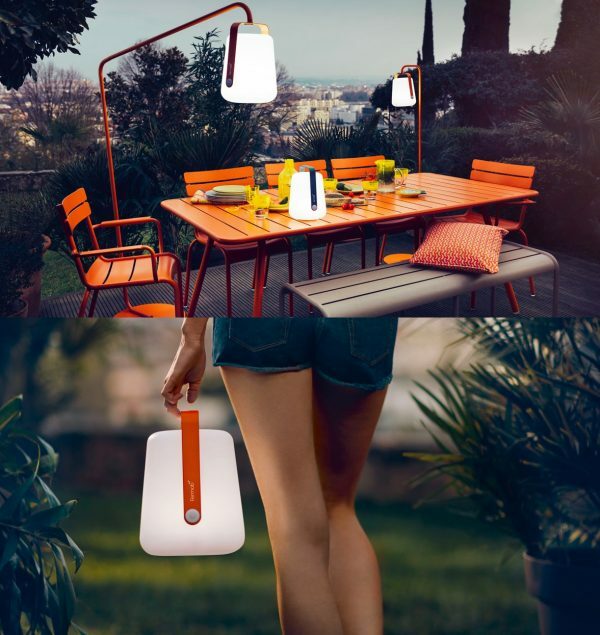 Fermod Balad Indoor/Outdoor Floor Lamp: Here’s an exceptionally versatile indoor-outdoor lamp that you can hang, carry, or suspend however you need it. Designed by Tristan Lohner, these handy lanterns are adjustable to three different light settings, include a rechargeable LED battery, and are available in a variety of playful colors. Memoky Helga Wooden Floor Lamp: Crafted from smooth ash wood and a stretched fiberglass shade, this simple and stylish floor lamp would look lovely in any modern, minimalist, or Scandinavian-inspired interior.